This past Friday the 13th was full of surprises as the Commerce Tigers hosted the Indians of Grand Saline. Both teams came in hungry for a win as neither had won a game all year. The Tigers came out of the gate swinging as they scored an early touchdown to take a 7-0 lead. Grand Saline answered with a quick touchdown themselves, tying the game at 7-7. The second quarter was a whole different story for the Tigers as the Commerce defense put the clamps on the Indians, holding them scoreless in the quarter. The Tigers’ offense got going in rhythm and giving Commerce the lead by ten at halftime 17-7. The second half was a different story as the Indians were able to cut the lead to five and find themselves back in the game. 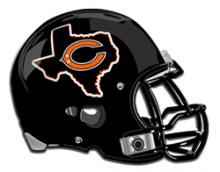 Late in the fourth quarter with just seconds left, Grand Saline was able to complete a long pass attempt to get them inside the Commerce five-yard line. However, as Friday the 13th is known for the inexplicable phenomenon to occur, Grand Saline pass to the end zone fell incomplete as time expired. The Commerce defense held on, and gave Commerce their first win of the season 26-21 to celebrate their homecoming. Call it whatever you want, but Commerce had their four-leaf clover, rabbit’s foot, or double rainbow to help fend off the bad luck of Friday the 13th. The Tigers are now 1-6 on the season and still alive for a shot at a playoff run. Grand Saline, just a little bit short, is still winless, now 0-6 on the season. The Tigers will face themselves this week as they are on their bye week. Their next opponent will be the 4-3 Winnsboro Raiders on the road next Friday night, Oct. 27. The Tigers have kept things close in many of their games this season, and will look to pull off the upset as they use the positive momentum after picking up their first win of the season.